Al Fakher Sweet Melon is a unusually wet (for Al Fakher brand tobacco), medium cut tobacco with minimal stems. Al Fakher tobacco is widely available in local stores that sell hookah supplies. 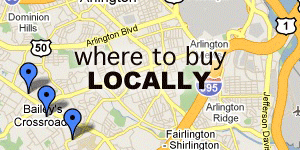 You may find Al Fakher tobacco cheaper in your local store, check to see what is available nearby. 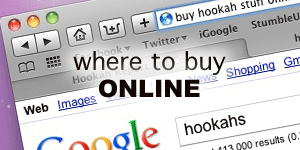 This review was performed after many sessions, with many different hookah and bowl styles. 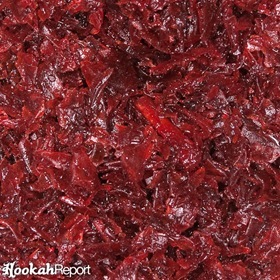 Most recently, Al Fakher Sweet Melon was smoked with an Al Fakher Large Solid hookah with an HJ Alien Mini phunnel bowl. Al Fakher Sweet Melon smokes easily. With ample heat, it will begin smoking within two to three pulls. With minimal effort, the smoke will be more than adequately dense, and the flavor will come along with it. When Sweet Melon is overheated, however, the flavor begins to change more dramatically than other flavors, so be cautious with your heat management until you’re accustomed to this particular tobacco. You can expect Sweet Melon to smoke for an hour to an hour and fifteen minutes before the flavor begins to dull, signaling the end of the smoking session. 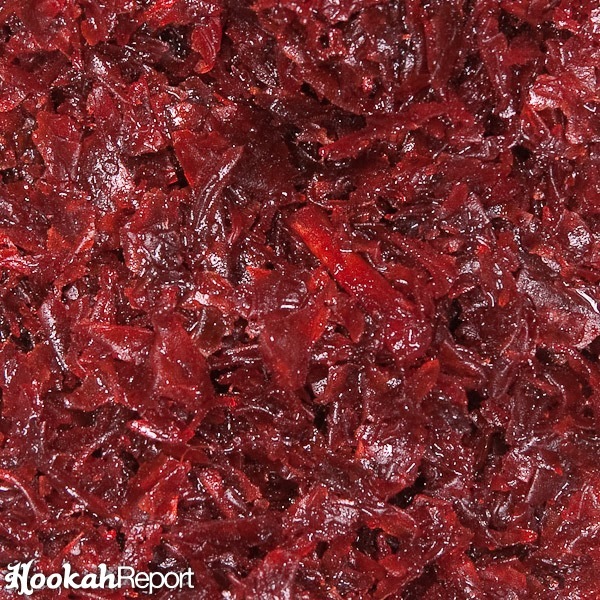 Al Fakher Sweet Melon is a simple, sweet candy-cantaloupe flavor. There are very few, if any, other flavors present. The natural tobacco taste is almost completely invisible, unlike the tobacco by the same name from Nakhla. The scent and taste are almost identical making Sweet Melon easy to place in mixes. 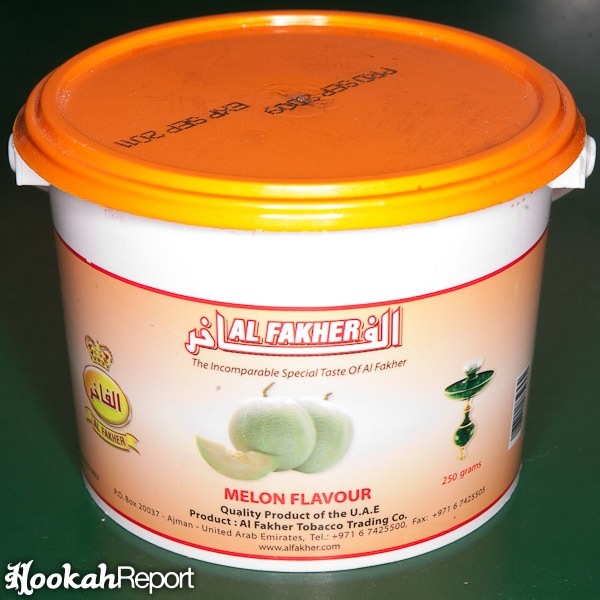 Al Fakher Sweet Melon is more mild in its flavor and sweetness than other brands of Sweet Melon. Al Fakher Sweet Melon is my favorite of the Sweet Melon flavors. The sweetness is relatively mild making it easier to smoke on a regular basis. Also, being a wetter tobacco, Sweet Melon packs easily into specialty bowls without needing any special preparations. If you’re a fan of melon flavors in general, you will likely enjoy this one. You will especially feel at home with this flavor if you prefer things less sweet, as I do. Spice flavor fans will probably dislike Sweet Melon, but probably won’t care for any of the comparable flavors from other brands either.